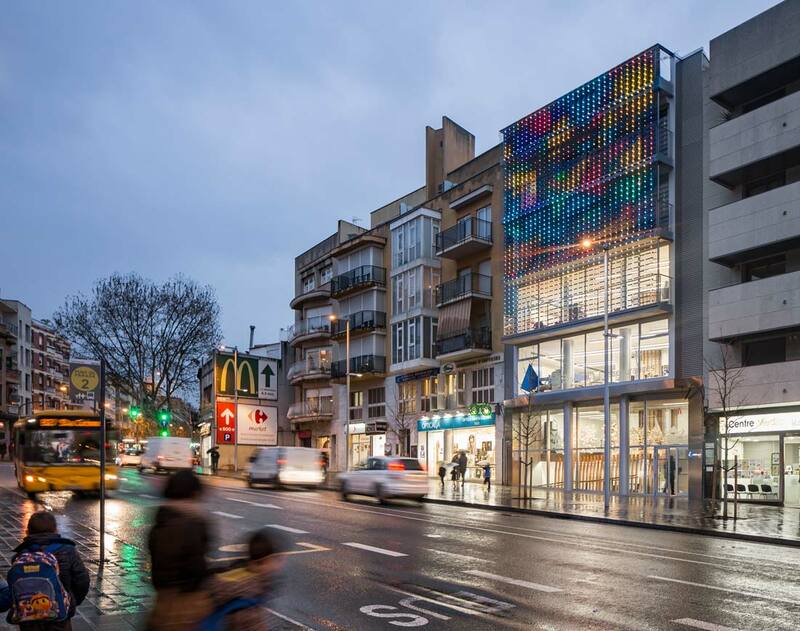 This project is about the integral remodeling of Aura’s insurance company building, located in the urban center of Santa Coloma de Gramenet, inside the metropolitan area of Barcelona. 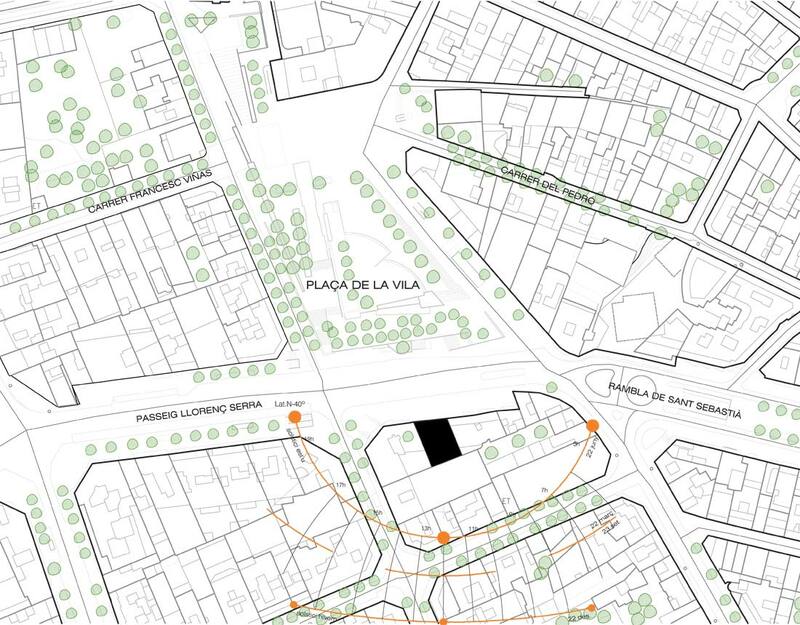 The project’s main objectives are the integral remodeling of the current building in order to update and revitalize its image from the street, to add flexibility and optimize and modernize the interior spaces, as so to adapt the building overall to its new needs and accessibility standards. The current building has seen numerous alterations throughout its life, mainly on the underground levels, the ground level and the attic. The need to incorporate new customer services required the addition of bigger spaces, easier access, and natural lighting. 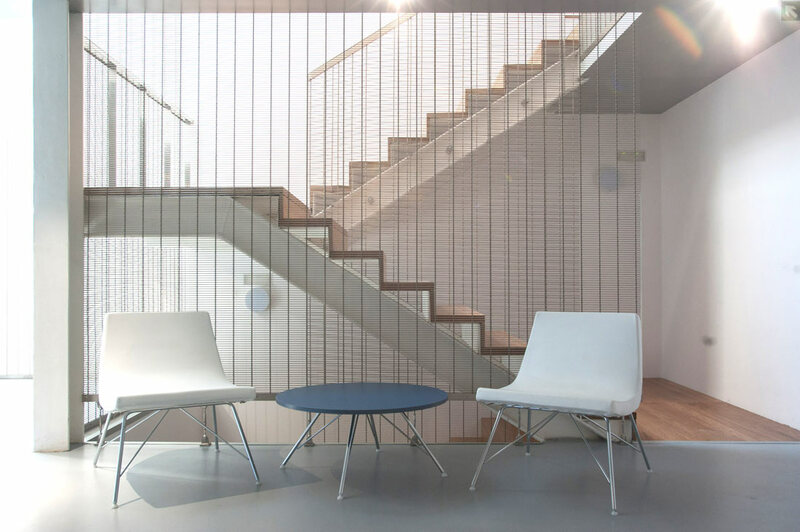 The restoration is based principally on achieving open spaces, while improving lighting conditions, ventilation and natural comfort, with the consequent optimization and improvement of the installations, finishes and the corporative image of the company. 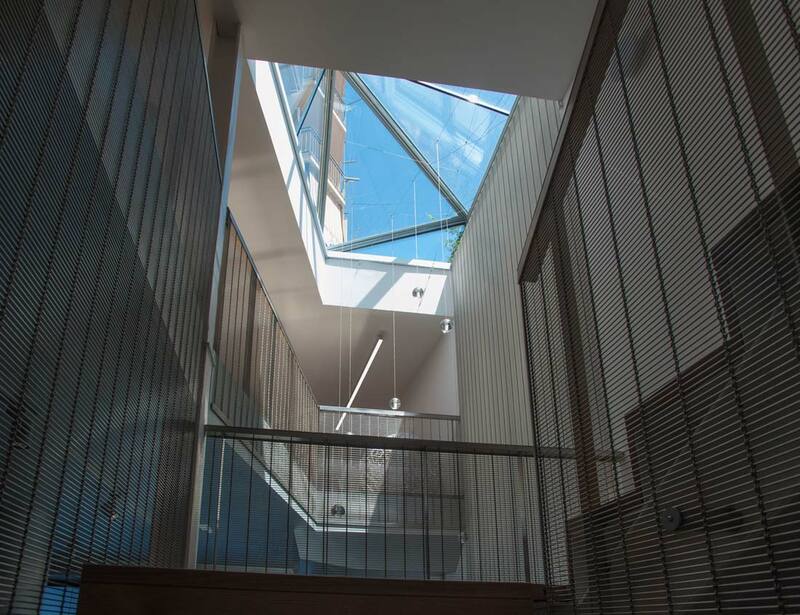 There are three notable aspects of the architectural ensemble: the building image from the main façade, which dialogues with the local government; the possibility to provide exterior spaces, for common use and leisure; and, finally, the need to supply natural lighting to the lower levels through a big skylight. 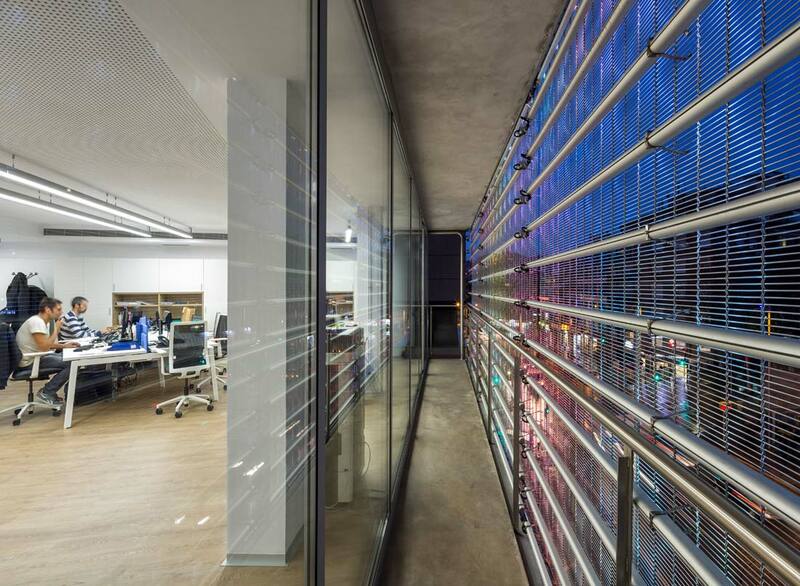 A new light plane, attached to the main façade of the building, acts as a sieve for the light coming from the outside, while protecting privacy, and acting as a communication element for the company. 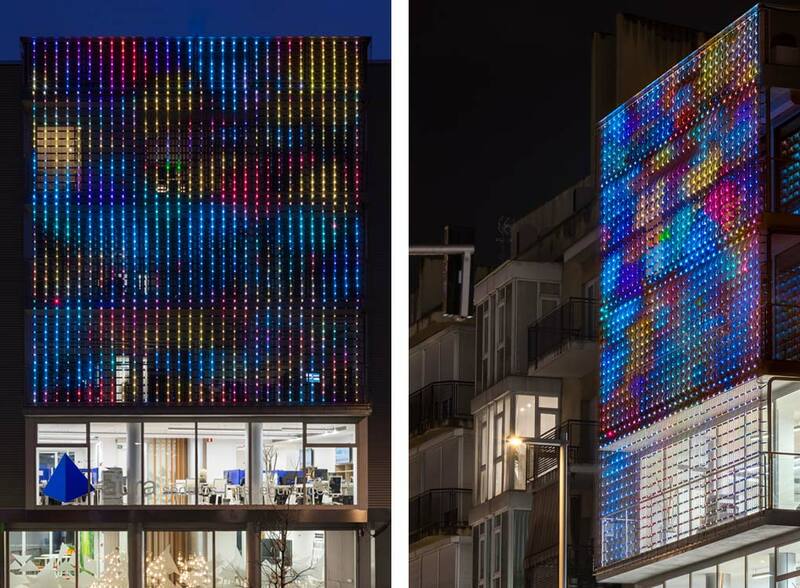 The façade is mainly composed of a big metal weave that holds numerous LED light points, with a rhythm and size designed in the project and customized according to the client’s specifications. 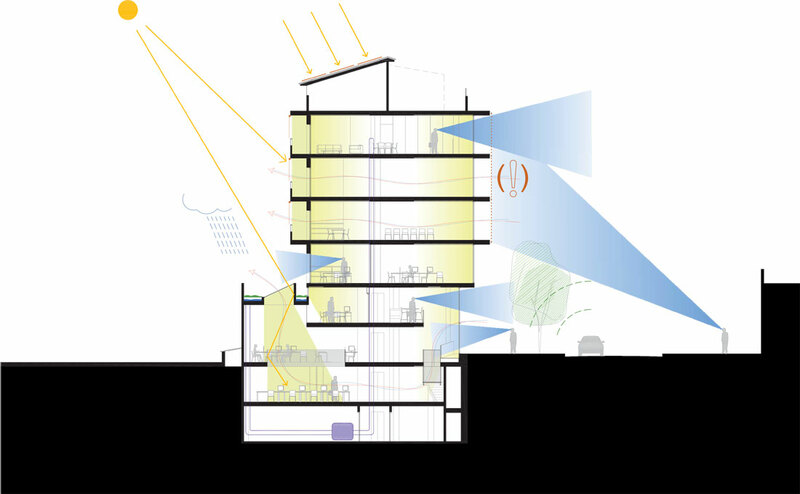 Integrating the light as a main layer that acts as a filter makes the work on the openings and carpentry of the offices like a second layer, not conditioned by the urban requirements of the surroundings, but focused on its own needs. The combination of layers which forms the planes of the cover takes on a special significance in the building. Contemporary architecture identifies itself more often with the enveloping elements which react to multiple functionality, climate and formalization conditions in the urban context where it is located. Main team: Felipe Pich-Aguilera. Teresa Batlle. Margherita Aricó. Jordi Camps. Jordi París. Pau Casaldaliga. Ute Müncheberg. Angel Sendarrubias. Specialists: Angel Sendarrubias, structures. 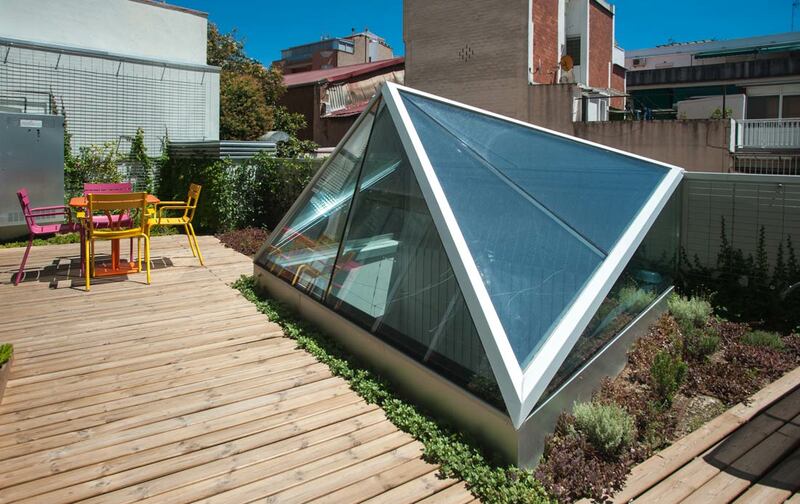 RAC Arquitectura, installations. Enric Vijande, measuring, budget and executive management.